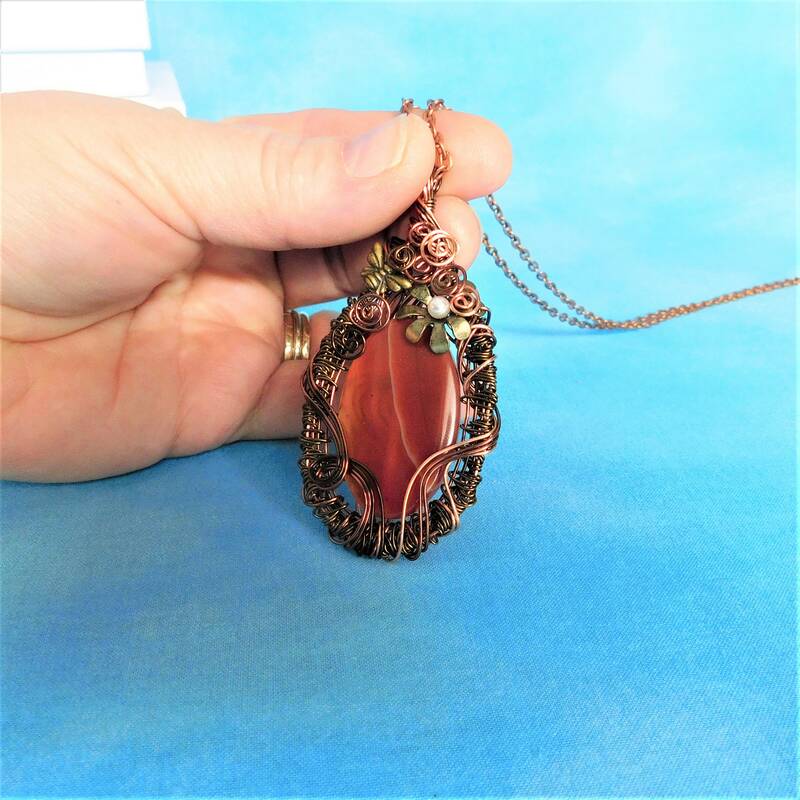 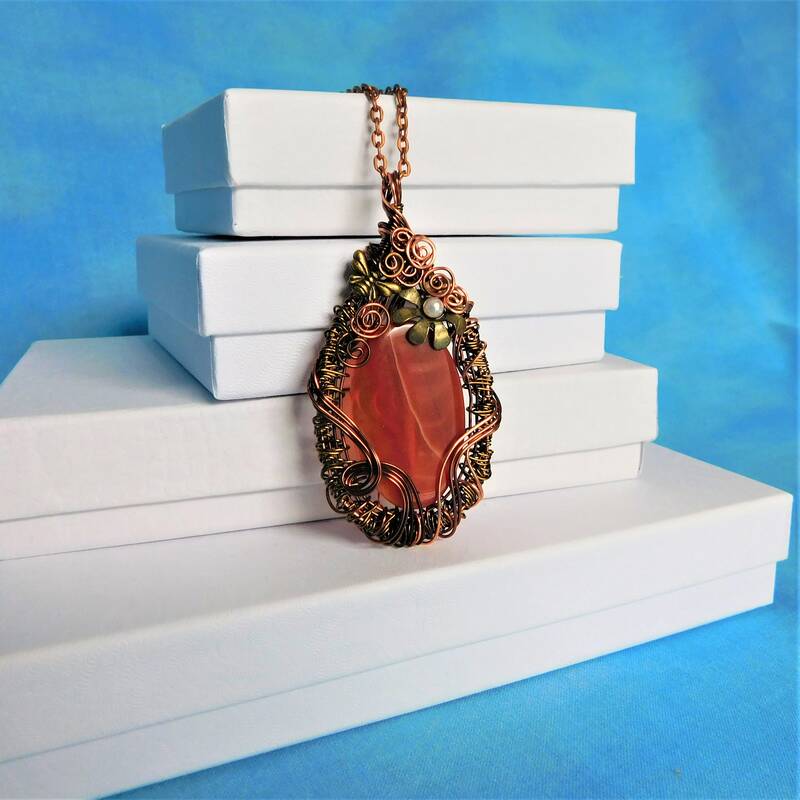 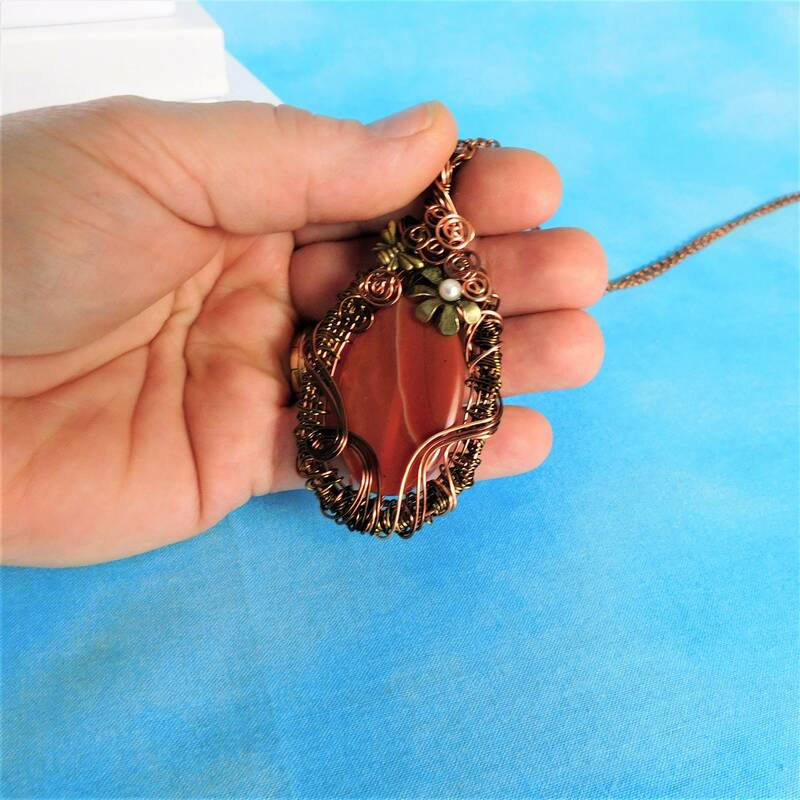 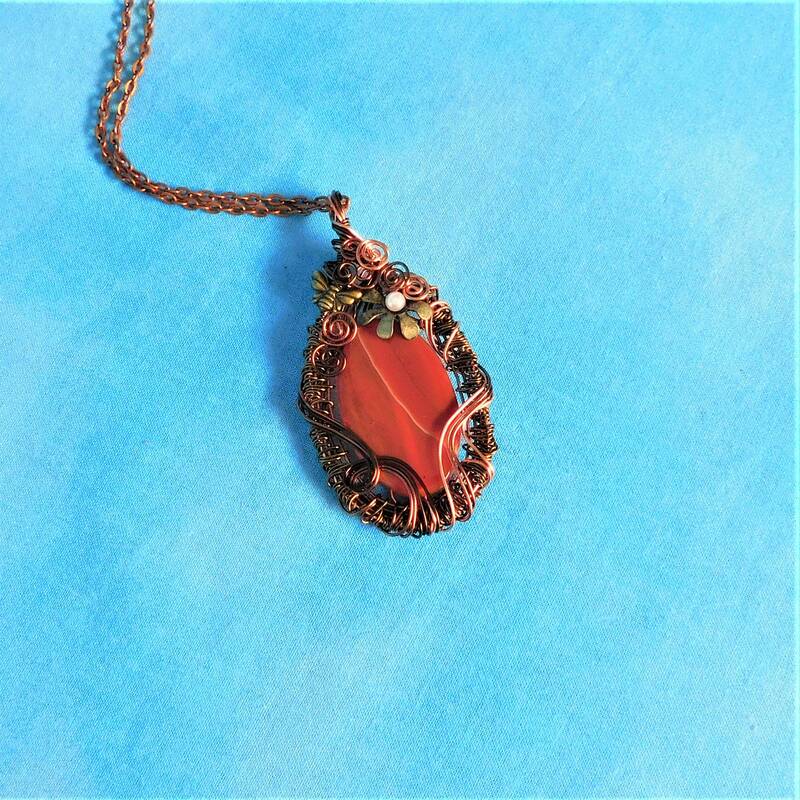 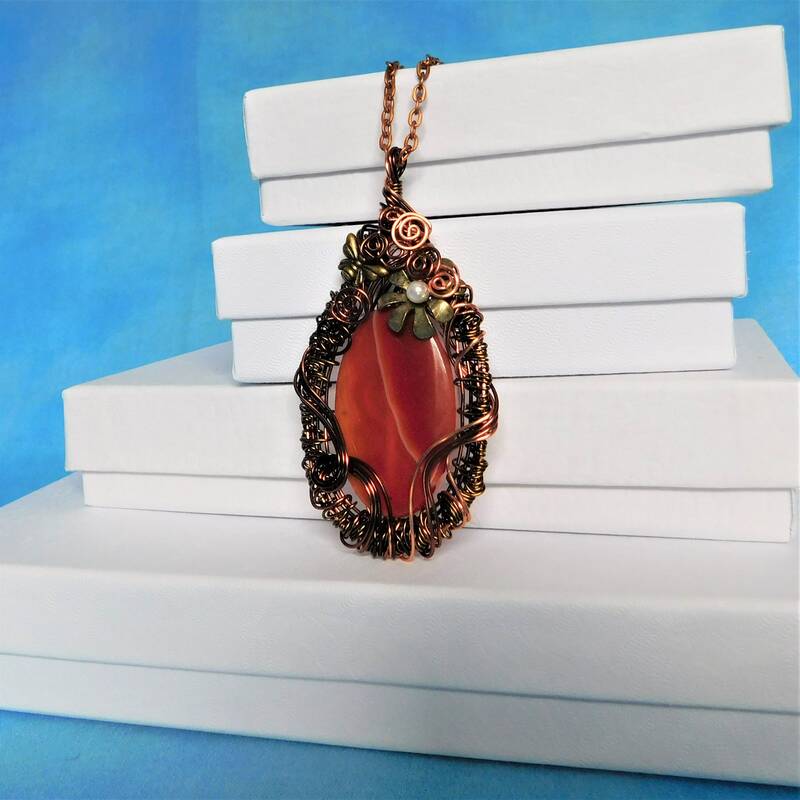 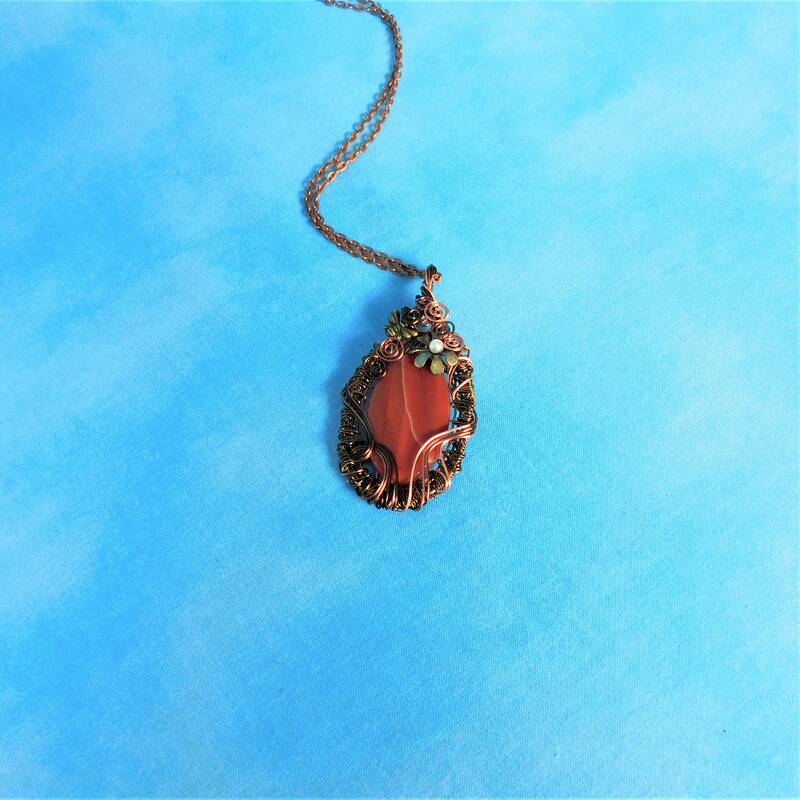 A lightly banded piece of carnelian is artistically framed in artisan crafted woven wire, embellished with a bronze colored flower and metal bumblebee. 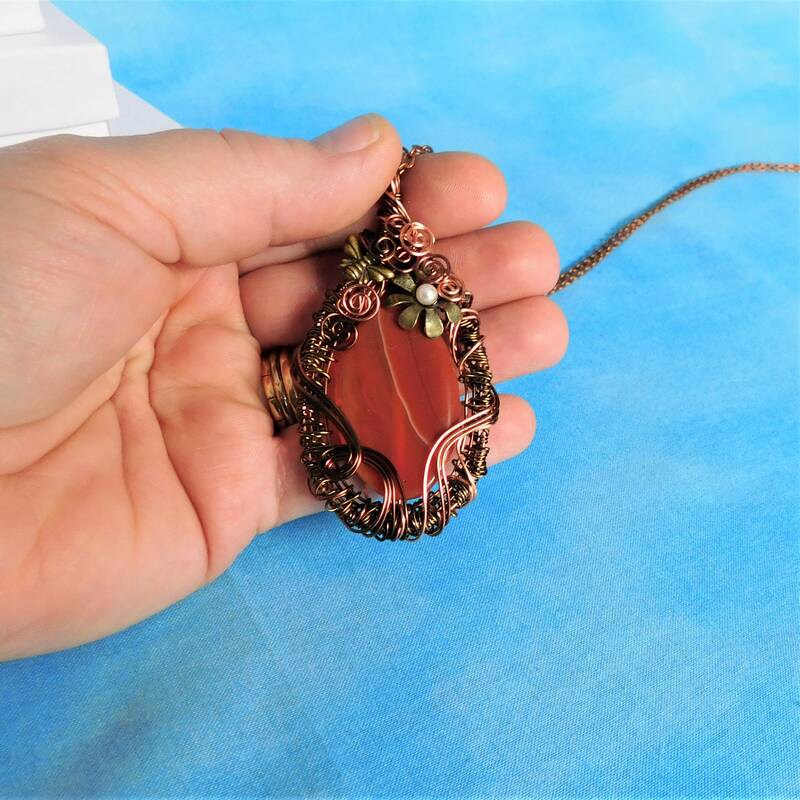 The banding of the carnelian is very subtle, lying deep within the stone. 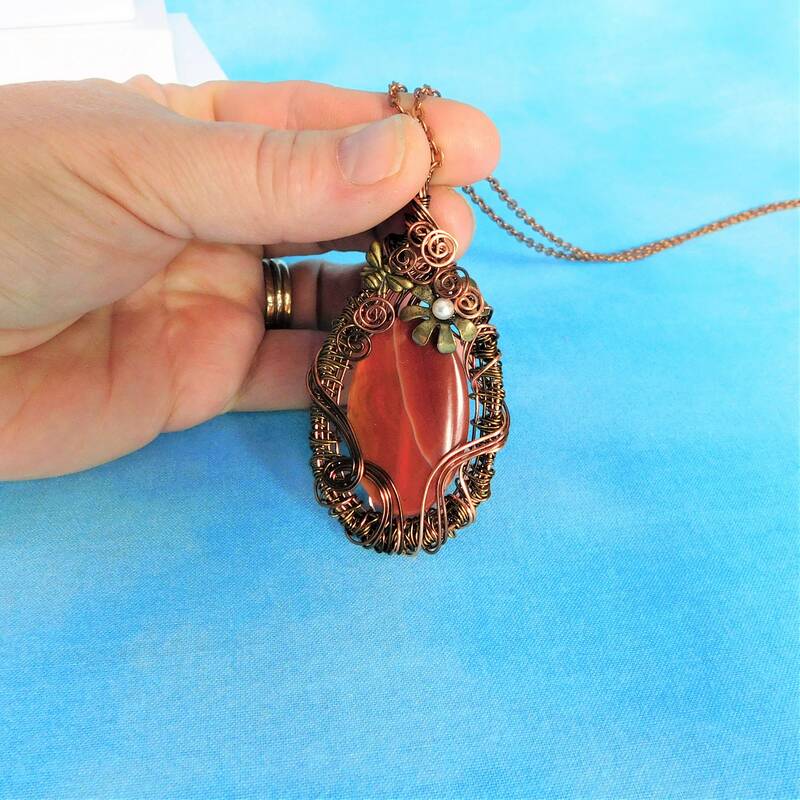 The appearance of the stone changes as the light plays upon the surface and shines through it. 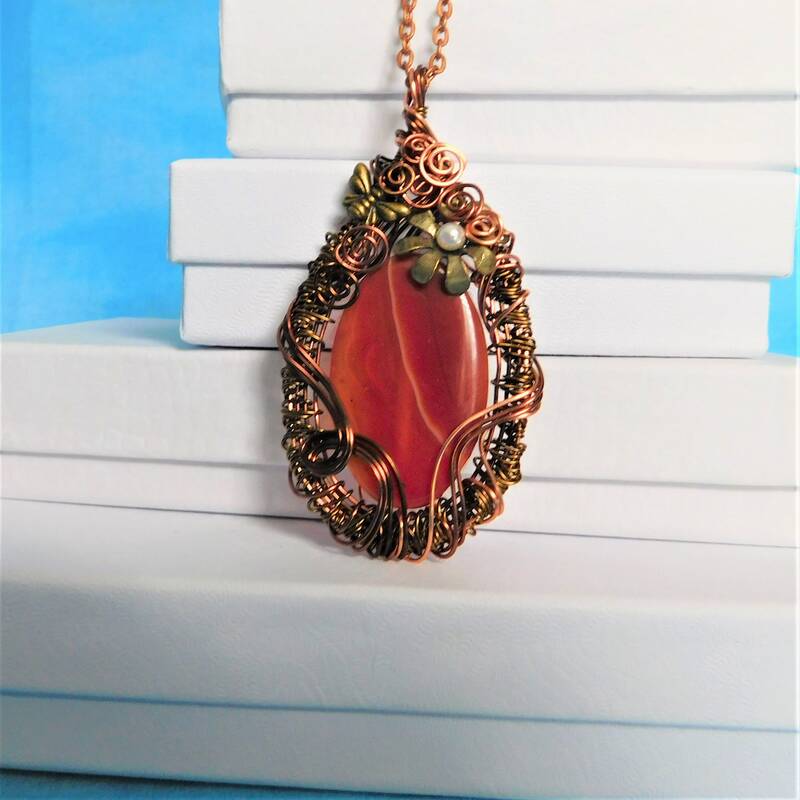 This makes for a lovely accent that makes the perfect addition to any woman's jewelry collection. 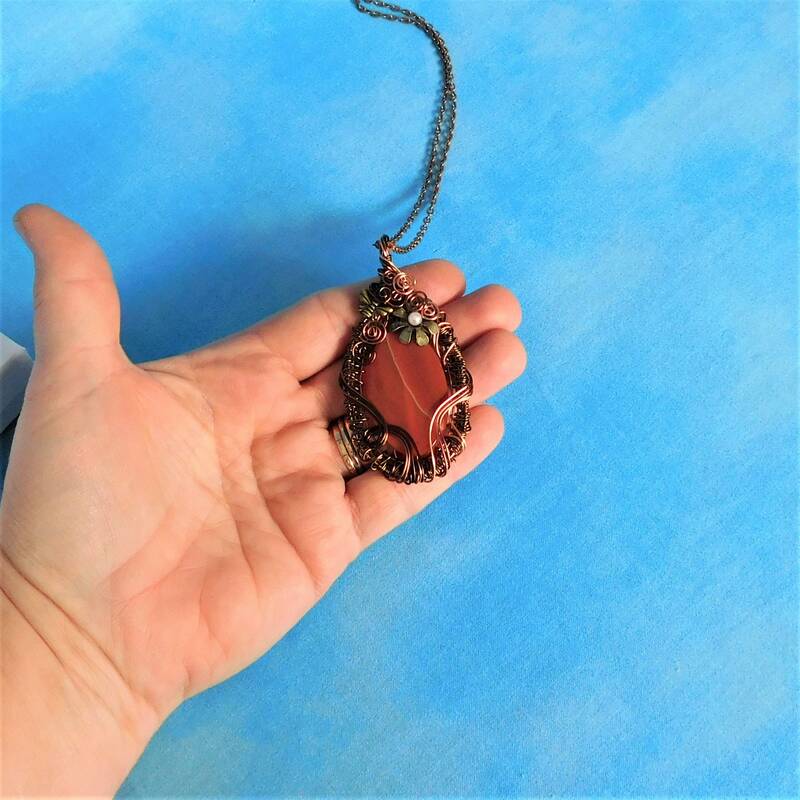 The pendant measures 2 1/2 inches by 1 1/2 inches and comes with a FREE coordinating chain with lobster claw clasp, measured to your preferred length.